Designed specifically for the Galaxy s3. 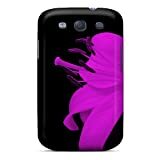 brand new personalized design hard cover case fit Galaxy s3. high quality and durable cellphone protection cover fit Galaxy s3. protect your phone from dust and scratches. high quality digital pictures printed onto the cases. custom made the shape, easy access to all the buttons, controls and ports without removing the case.